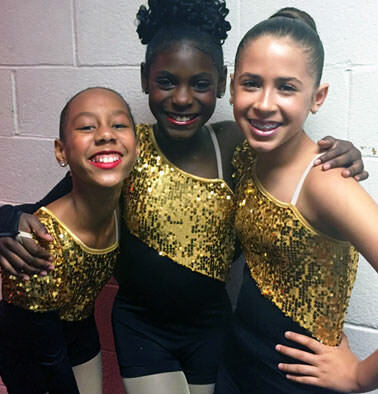 At Steps Ahead Dance Studio, we strive to create a family atmosphere for our students. It is important for our dancers to become comfortable in order to develop grace, poise, and confidence so that the mind and body can act as one. Our mission is to have our students leave class having gained the personal confidence that will benefit them throughout their entire lives in any career they may choose. Steps Ahead Dance Studio is committed to providing the highest standard of technical and artistic instruction for ages 2 ½ to adult. Whether one dances for pure enjoyment, exercise or in pursuit of a dance career, all will find our program satisfying. Steps Ahead Dance Studio is an air-conditioned, 4,000-square-foot state-of-the-art facility, with 3 spacious dance studios. Our annual recital showcase of professionally choreographed works is held in a fully air-conditioned, stadium-seating theater. Steps Ahead offers a variety of classes including Tap, Jazz, Ballet, Lyrical, Modern, Hip-Hop, Contemporary, Zumba, Acro-Gymnastics and Technique, as well as a Nursery Program and Competition Team. The majority of classes are group, but private lessons are also available. For questions about our studio or classes, or for class placement assistance for your child, please contact us.